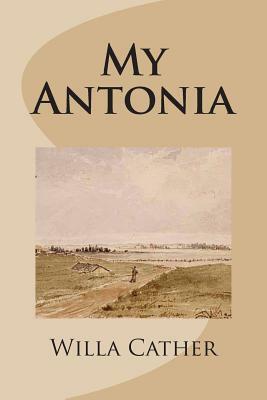 My ntonia, first published 1918, is considered one of the greatest novels by American writer Willa Cather. It is the final book of her "prairie trilogy" of novels, the companion volumes being O Pioneers and The Song of the Lark. Willa Sibert Cather (December 7, 1873 - April 24, 1947) was an American author who achieved recognition for her novels of frontier life on the Great Plains, in works such as O Pioneers!, My Antonia, and The Song of the Lark. In 1923 she was awarded the Pulitzer Prize for One of Ours (1922), a novel set during World War I. Cather grew up in Nebraska and graduated from the University of Nebraska. She lived and worked in Pittsburgh for ten years, then at the age of 33 she moved to New York, where she lived for the rest of her life."